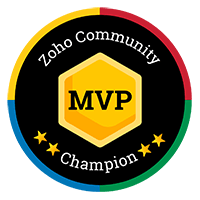 The Zoho MVP program recognizes exceptional community members who go the extra mile to contribute to the Zoho ecosystem. What is the Zoho MVP program all about? 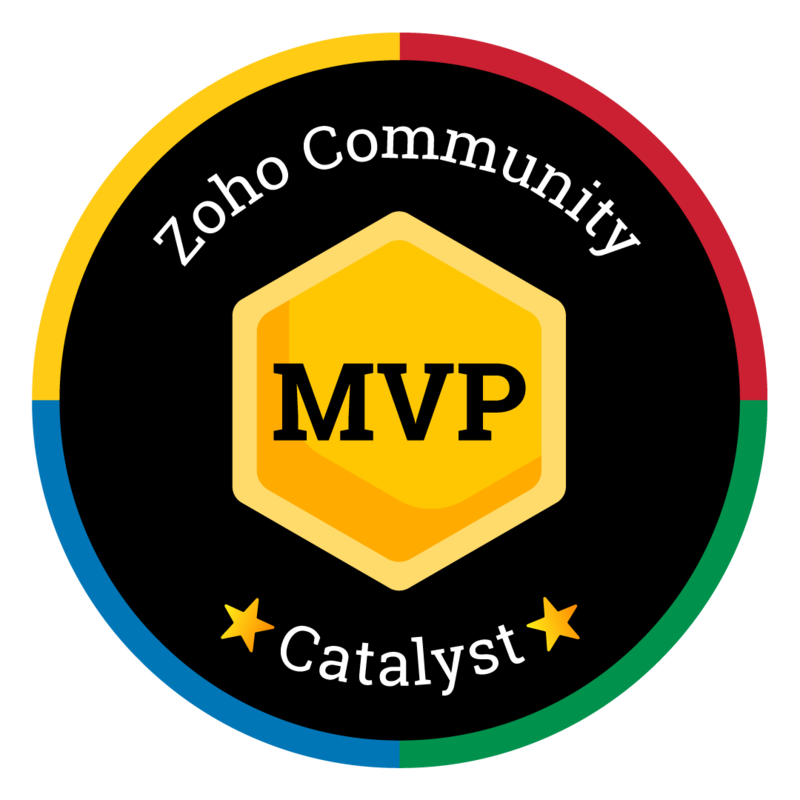 The Zoho MVP program is a framework to recognize and reward outstanding community contributors. This program gives Zoho an opportunity to seek out product experts and enthusiasts who want to give back to the community and also grow with Zoho. Champions demonstrate their product expertise and business acumen by actively engaging in the Zoho Community. They set the right examples in the community with their solutions, ideas, and constructive criticism, and are rightfully looked upon as ambassadors by the other members of the community. Catalysts are thought leaders and influencers with proven Zoho expertise. Writing books or courses, speaking at events, and doing product videos are some among the contributions made by the Catalysts, and are critical to a thriving Zoho ecosystem. To get you started on your way to becoming an MVP, here are some best practices that can help get you on the right track. Engage in the online community at least 8 days a month or more. Be hands on with the product and the available resources. Share expertise - help shorten the learning curve for peers. Engage actively with Zoho - report bugs, validate new feature requests in Community Forums, and provide beta feedback. Make yourself available to demonstrate and share your experience across platforms including forums, social media, conferences, and meetups. Please note that the MVP selection may or may not be solely based on the fulfilment of these best practices. Other factors like positivity quotient, being civil in forum replies, value addition in discussions etc would also be taken into consideration. A ZOHO MVP certification badge: A mark of being the best in what you do using Zoho. Premium access to Zoho updates: Be the first to know what's cooking in Zoho. Early beta access: Help Zoho build awesome products by sharing feedback on upcoming features. Drive the Community events: Get a chance to be a host or a speaker at the Community's online and offline engagements. Complimentary Zoholics pass: Be our guest at our annual User Conference, Zoholics. Complimentary Zoho merch: Get a Zoho goodie bag with merchandise and a membership badge.